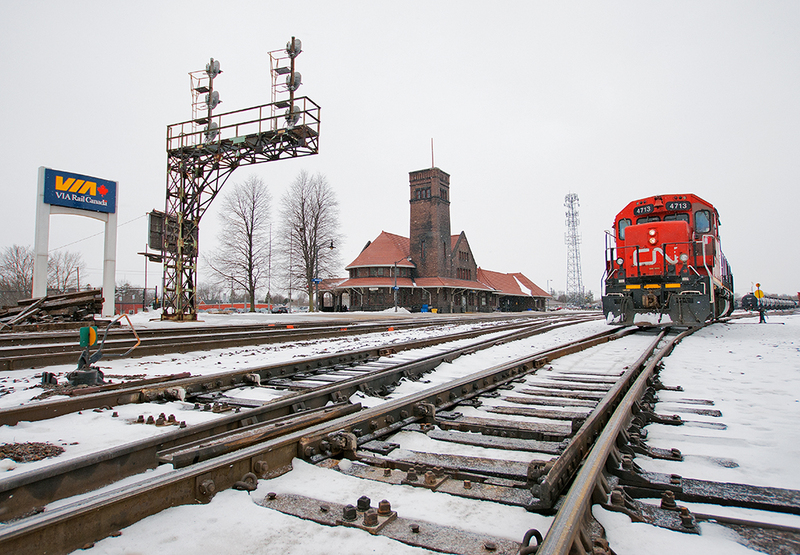 Railpictures.ca - Michael Da Costa Photo: It’s the beginning of our shift, the CN 4713 poses by the old Grand Trunk station for now till the conductor finishes up his straight check of Brantford Yard. | Railpictures.ca – Canadian Railway Photography – photographie ferroviaire Canadienne. Caption: It's the beginning of our shift, the CN 4713 poses by the old Grand Trunk station for now till the conductor finishes up his straight check of Brantford Yard. Nice piece of work here, Michael. You made the ‘same old place’ look interesting.